Between Thanksgiving and New Year’s Day, Americans generate one million more tons of waste per week than the rest of the year. That is a staggering statistic to grapple with while heading into the “season of joy,” but there is a solution. By paying attention to the materials we use to wrap gifts, and how we dispose of them, we all can make a positive waste reduction impact. A few approaches are presented below; some are more involved than others. Reduce your holiday waste footprint by embracing the ones that work for you and your household. Paper products that contain these materials are problematic because during the recycling process, paper is shredded and rinsed. Remaining non-wood particles contaminate the finished paper because they interfere with printing. The GIFFT guidelines also help to determine which tissue papers, shopping bags, gift bags, gift boxes, and greeting cards/envelopes are recyclable. Note that many gift and shopping bags and greeting cards are enhanced with metallic ink or foil, so be alert. Glossy, magazine-like paper is acceptable, but please remove all non-paper handles and make sure that the material is clean and dry. Option two is to purchase greeting cards and paper products that delight you and pass the GIFFT recycling test… this is like voting for sustainable products via your wallet. Holiday paper manufacturers produce beautiful cards, boxes, and paper with shiny metallic accents, but tend to be less concerned with what happens to the used paper than they are with selling it in the first place. 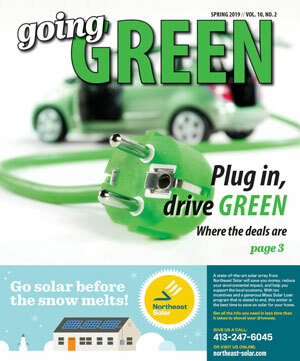 If fully recyclable paper is selling well, they will produce more. To further reduce holiday waste, a third option is to wrap gifts with reused or discarded paper products. Reuse boxes, bows, and ribbons. Some people salvage large pieces of used wrapping paper to wrap smaller items the next year, and fancy gift bags can be reused for years. 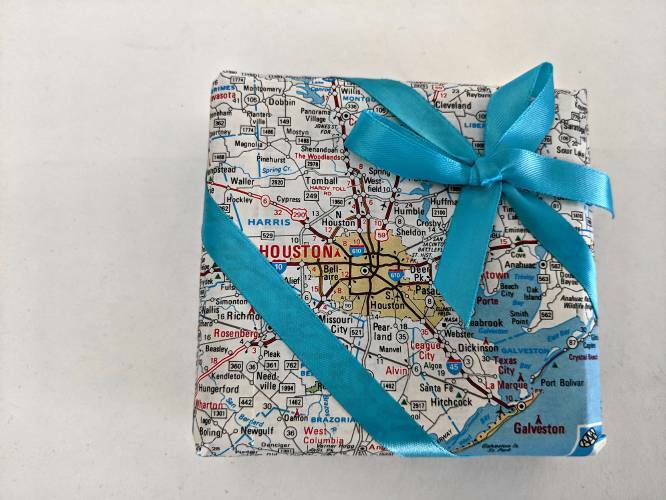 Newsprint, paper maps, magazine pages, and old wall calendar graphics are fun wrapping paper alternatives. Jazz up newsprint with a colorful (used!) ribbon, or use markers to add personal notes, squiggles, or drawings. For a fun afternoon project, carve decorative images into potato halves and use them to stamp sheets of newsprint using thick, water-based tempura paint (Google potato printing). Water-based acrylic craft paint can also be used, but the resulting paper should be disposed of (not recycled) after it is used. 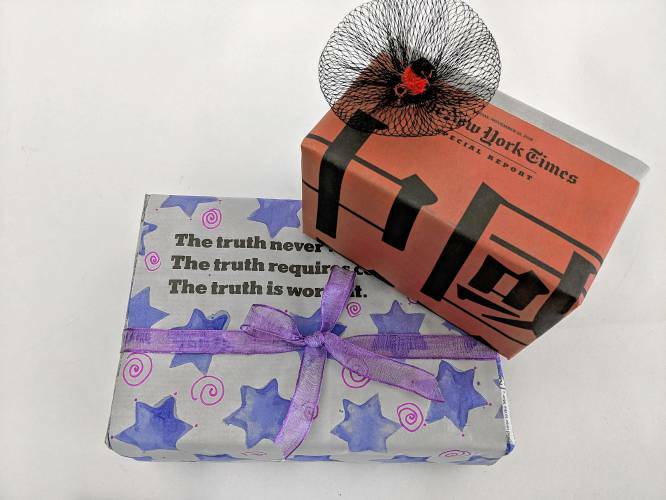 We can look to Japan’s tradition of artfully wrapping gifts with reusable cloth (no tape required!) for a fourth waste-reducing gift presentation option. Traditionally, the cloth is returned to its owner for reuse after the gift is unwrapped. Find how-to information about “Furoshiki” wrapping online. 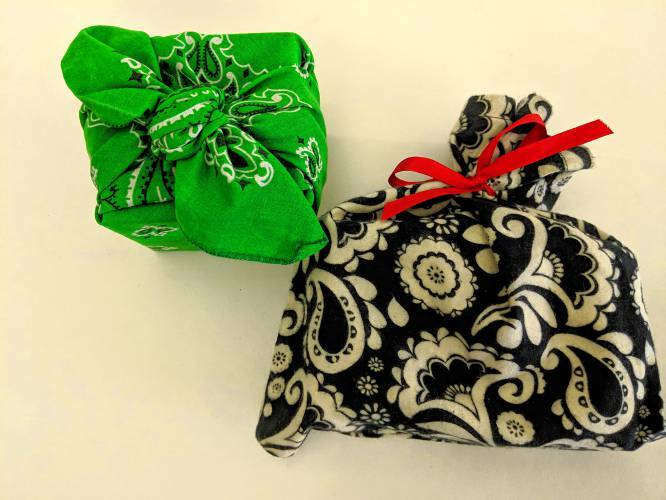 Imported Furoshiki cloths can be purchased, but a wrapping cloth can be as simple as an attractive reusable dinner napkin, bandana, dishtowel, or a square cut from a discarded garment. Finally, if you have access to a sewing machine, sewing simple, reusable gift bags out of attractive, washable fabric is a worthy investment of time. Their employment reduces single-use paper AND significantly cuts gift wrapping time, granting late night gift wrappers (you know who you are) more time to sleep. For additional information about paper recycling, visit the Springfield Materials Recycling Facility website (springfieldmrf.org). For information about other holiday-related discards, visit your municipality’s solid waste webpage.